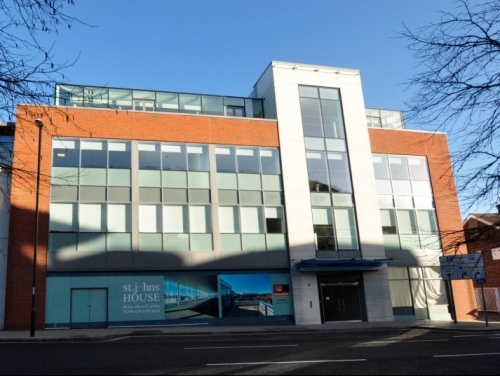 Following the landlord’s plans to fit-out the ground floor vacant space at St John’s House, the completed Unit 4 has let to Optime Group. Unit 4 is 678 sq ft and benefits from a lot of natural light, air conditioning and high ceilings. Works are underway to complete the remaining 7,029 sq ft to a Grade A specification and shop front. According to recent new research from SHW there is a healthy vacancy rate for offices in Crawley of 10.9%, significantly higher than some other towns in the region, giving occupiers a level of choice and flexibility to suit their requirements. To receive a copy of SHW’s Office Focus report email Head of Business Space Tim Hardwicke thardwicke@shw.co.uk.